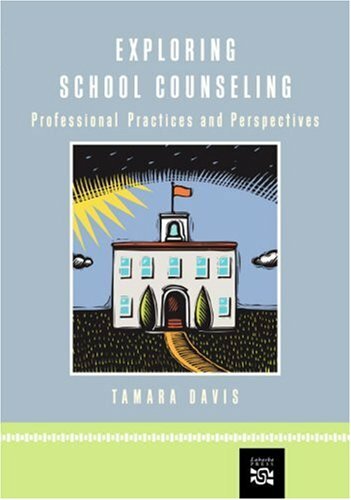 This text concentrates on the practical aspects of school counseling by focusing on the roles of the counselor, emphasizing an action-oriented approach. Each chapter includes an excerpt from the author or a contributor, relating a personal experience in a school setting. These first- and second-hand accounts throughout the text support the research and technical aspects of school counseling. resilience and positive thinking in students. She has been an invited keynote in several states. Her publications include books and articles in school counseling as well as book chapters on counseling suicidal children and group counseling in schools. She was named the 2007 Counselor Educator of the Year by the American School Counselor Association. She teaches courses at Marymount in both the school and community counseling graduate programs and supervises all of the Practicum experiences for the school counseling students. Dr. Davis serves as the coordinator for the Northern Virginia School Counseling Leadership Team. She resides in Manassas, VA with her husband Ken who is a principal of a 5th/6th grade intermediate school and their three Siberian Huskies.